By forming long standing partnerships with several leading coating houses, Industrial Optics Unlimited has positioned itself to handle your optical thin film coating requirements. From simple to complex coating designs, Industrial Optics can meet your specific requirements in both prototype and production quantity batch sizes. 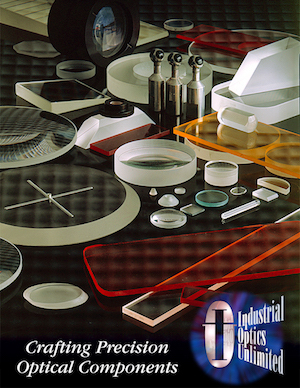 Industrial Optics proudly stands behind every optical thin film coatings job as if it were done in-house. If you have any questions, please contact us.